U2 are an Irish rock band from Dublin formed in 1976. The group consists of Bono (lead vocals and rhythm guitar), the Edge (lead guitar, keyboards, and backing vocals), Adam Clayton (bass guitar), and Larry Mullen Jr. (drums and percussion). Initially rooted in post-punk, U2's musical style evolved throughout their career, yet has maintained an anthemic sound built on Bono's expressive vocals and the Edge's effects-based guitar textures. Their lyrics, often embellished with spiritual imagery, focus on personal and sociopolitical themes. Popular for their live performances, the group have staged several ambitious and elaborate tours over their career. Facing creative stagnation and a backlash following their documentary/double album, Rattle and Hum (1988), U2 reinvented themselves in the 1990s through a new musical direction and public image. Beginning with their acclaimed seventh album, Achtung Baby (1991), and the multimedia-intensive Zoo TV Tour, the band integrated influences from alternative rock, electronic dance music, and industrial music into their sound, and embraced a more ironic, flippant image. This experimentation continued through their ninth album, Pop (1997), and the PopMart Tour, which were mixed successes. U2 regained critical and commercial favour with the records All That You Can't Leave Behind (2000) and How to Dismantle an Atomic Bomb (2004), which established a more conventional, mainstream sound for the group. 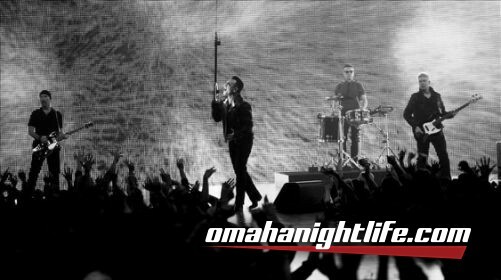 Their U2 360° Tour of 2009-2011 is the highest-attended and highest-grossing concert tour in history. The group's thirteenth album, Songs of Innocence (2014), was released at no cost through the iTunes Store, but received criticism for its automatic placement in users' music libraries.